The leaders and soldiers of the 16th Infantry in World War II were, like most combat infantry regiments, a very tightly nit team of warriors. 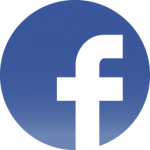 Two factors that made the 16th Infantry somewhat different from other units, however, were the unusually high number of leaders and men who remained with the regiment throughout the war and the regiment’s service as an amphibious assault regiment. 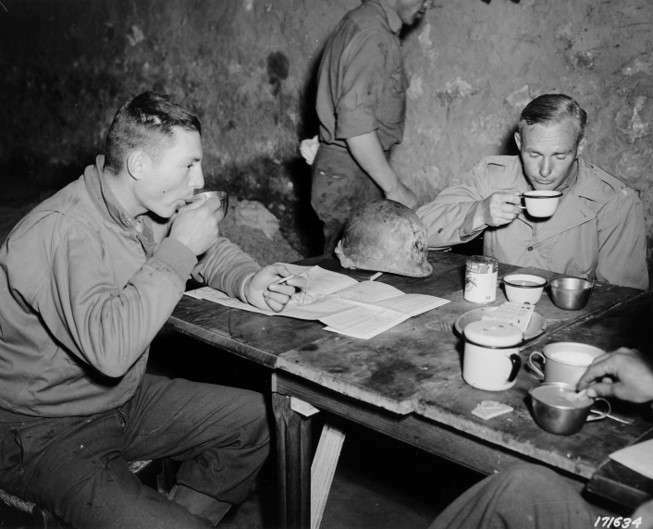 Many men of the 16th Infantry were eligible to return home on points by the end of the Sicily Campaign, yet a large number remained with the regiment all the way through to the end of the war in Europe in May 1945. Many of those, including officers, had been with the 16th Infantry since its time on Governors Island prior to 1941. 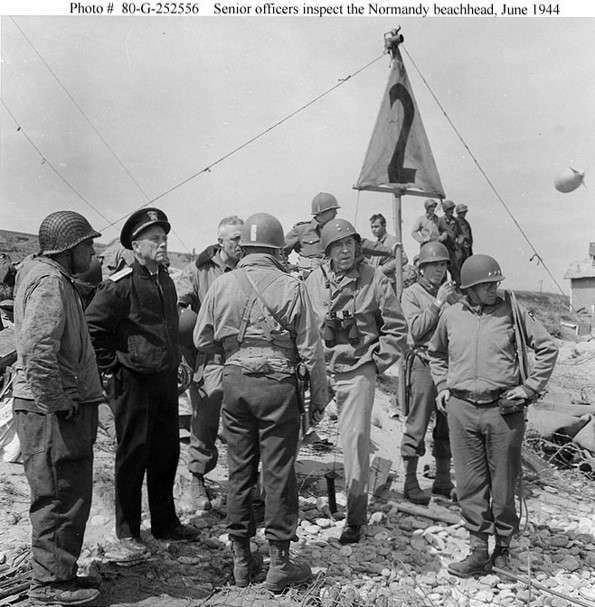 The other factor was that the 16th Infantry was the only regiment in the 1st Infantry Division that served as an assault regiment for all three of the Big Red One‘s amphibious operations. This gallery showcases the many memorable leaders and soldiers who made the 16th Infantry such an outstanding regiment and combat team during World War II. 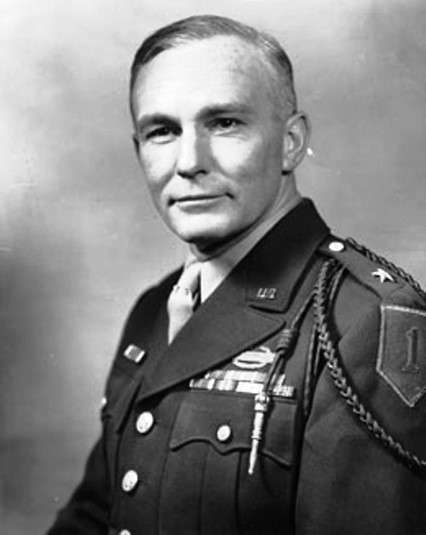 Col. Henry B. Cheadle took command of the 16th Infantry in July 1941. 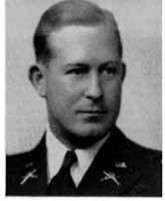 He commanded the regiment during Operation TORCH and departed in December 1942. Col. d’Alary Fechet’ was the C.O. of the regiment Dec 42-Mar 43. He commanded the regiment at Kasserine and El Guettar and was wounded in action at Hill 482 on 30 Mar 43. 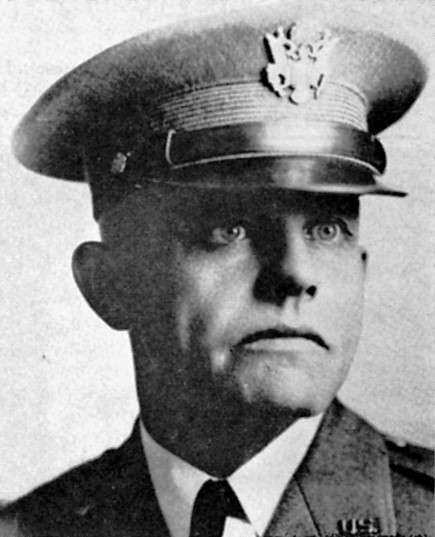 George A. Taylor’s service with the 16th Infantry began by at least Jan 41 when he was assigned as the Regimental S1. He returned to the regiment in Apr 43 and commanded it through Sicily, D-Day and Operation COBRA. He ended the war as the ADC, 1st ID. 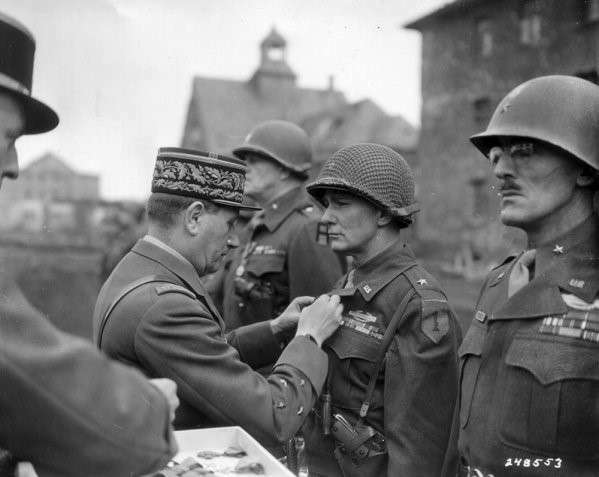 Colonel Taylor (now Brigadier General) receives the Croix de Guerre from General Le Clerc on 12 March 1945. 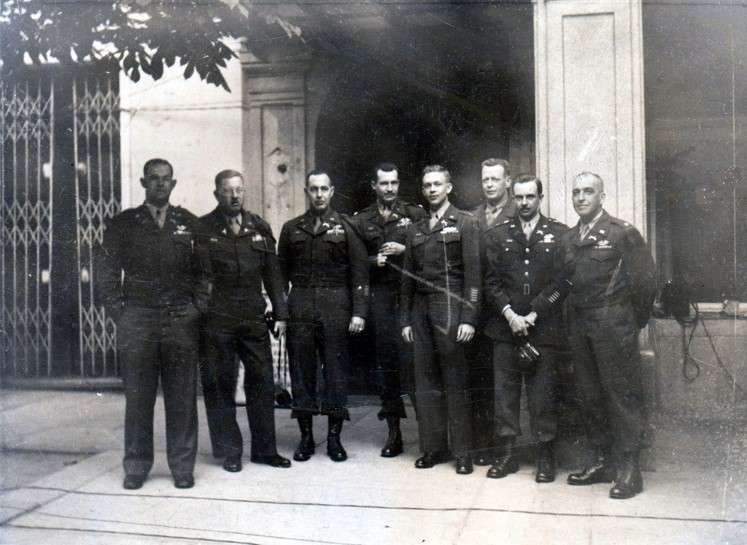 Colonel Taylor and the battalion commanders of Combat Team 16 at Parham House near Beaminister, England. 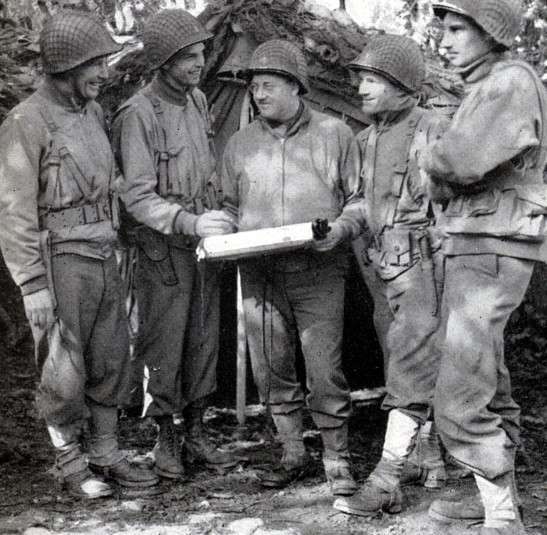 Taylor (left) confers with senior leaders on Omaha Beach on 6 or 7 June 1944. General Bradley is on the right. 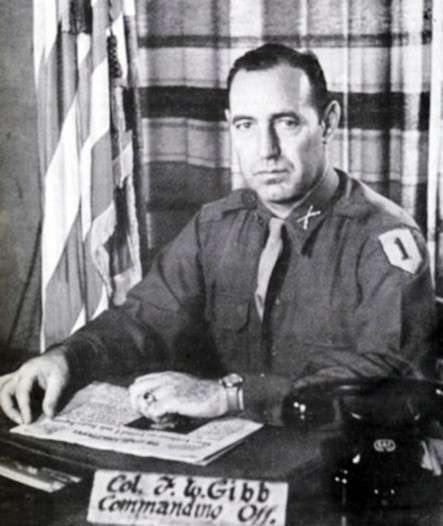 Colonel Frederick W. Gibb commanded the 16th Infantry 17 Jul 44-23 Sep 45. He served with the regiment from at least Jan 41 and served as the S1, S3, E Company Commander and as the commander of the 3rd Battalion during Operation TORCH. 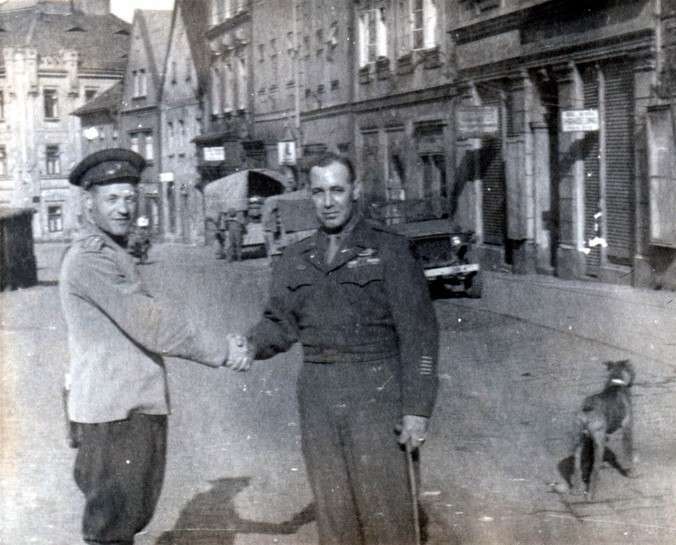 Gibb meets with a Russian officer in Franzensbad, Czechoslovakia in May 1945. 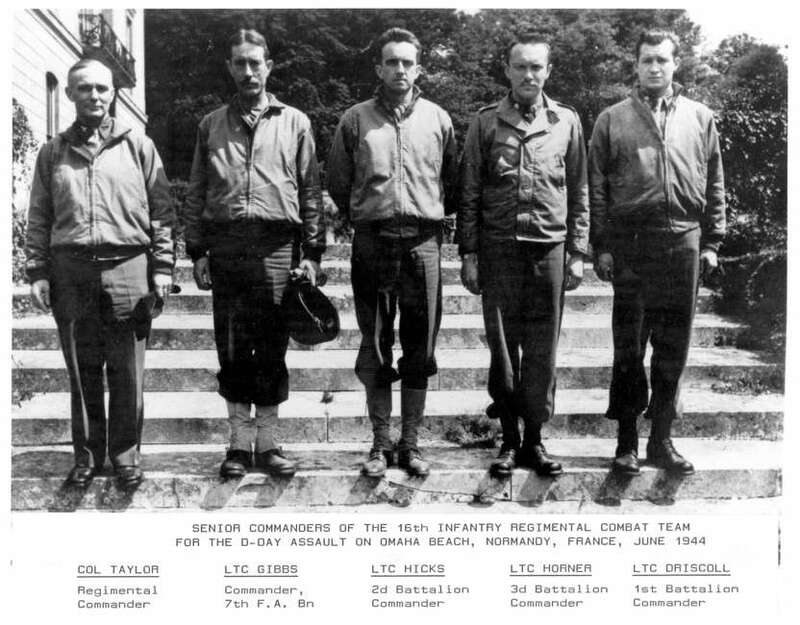 LTC Richard E. O’Conner served as the XO for the 16th Infantry 15 Jun 43-18 Jul 43. He was killed in action in Sicily. 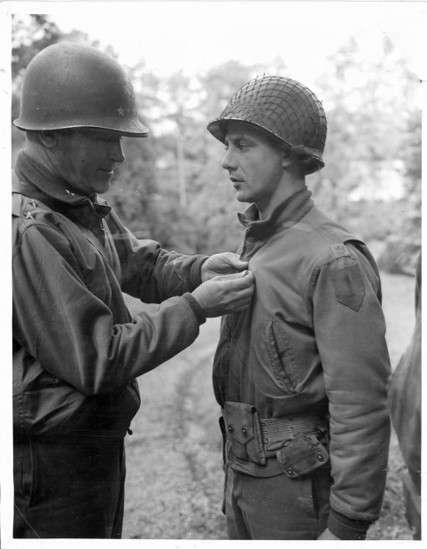 LTC John H. Mathews was the XO for the 16th Infantry 18 Jul 43-6 Jun 44. He was also the 3rd Battalion commander in North Africa. He was killed in action on D-Day. 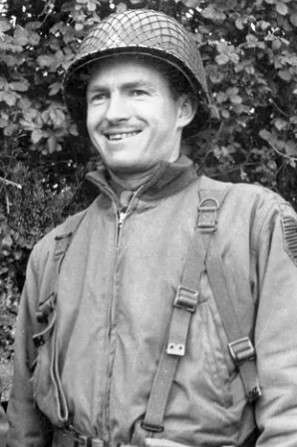 Lt. Col. James K. Woolnough was the XO for the regiment 24 Jul 44-5 Feb 45. 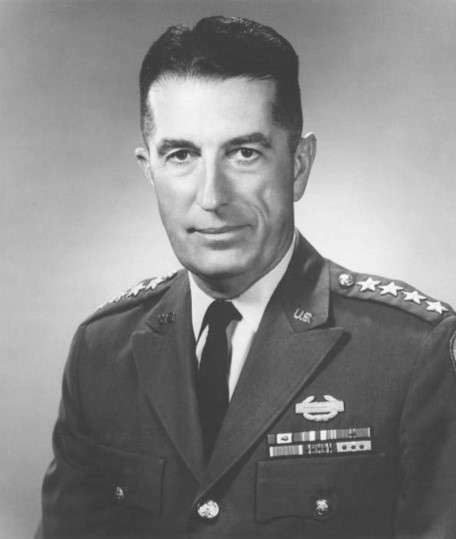 He retired as a four-star general, CG of CONARC. 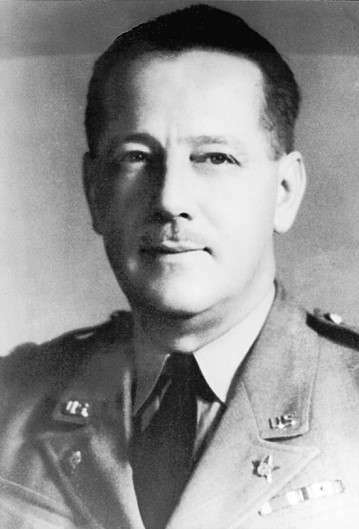 Lt. Col. William A. Cunningham, III was the 1st Battalion commander throughout the North Africa campaign until he was wounded in action on 27 Apr 43 near Hill 482 during the advance on Mateur. 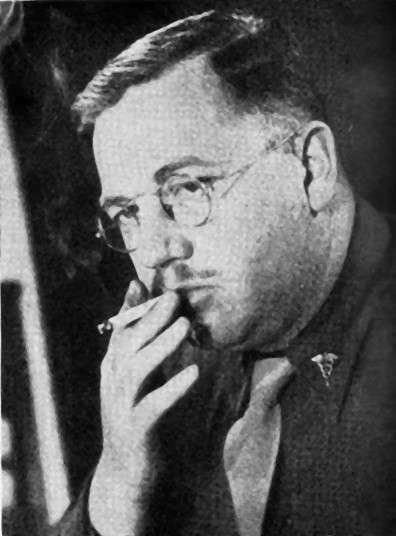 Major William R. Washington commanded the 2nd Battalion Headquarters Company in North Africa and E Company in Sicily. He was serving as the battalion XO when he was awarded the DSC for his actions on D-Day. 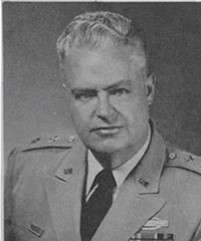 Lt. Col. Edmund F. Driscoll commanded H Company before the war. 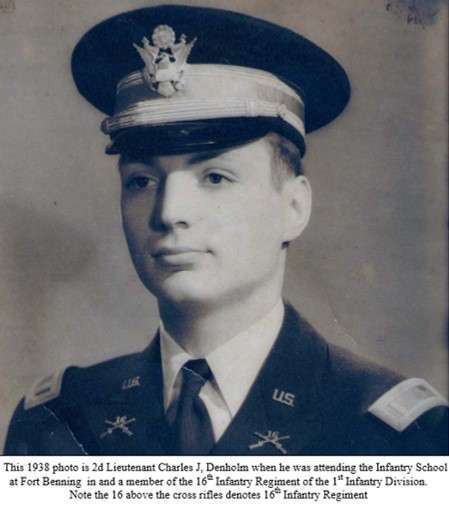 He served as the 1st Battalion commander from shortly before D-Day until the summer of 1945. 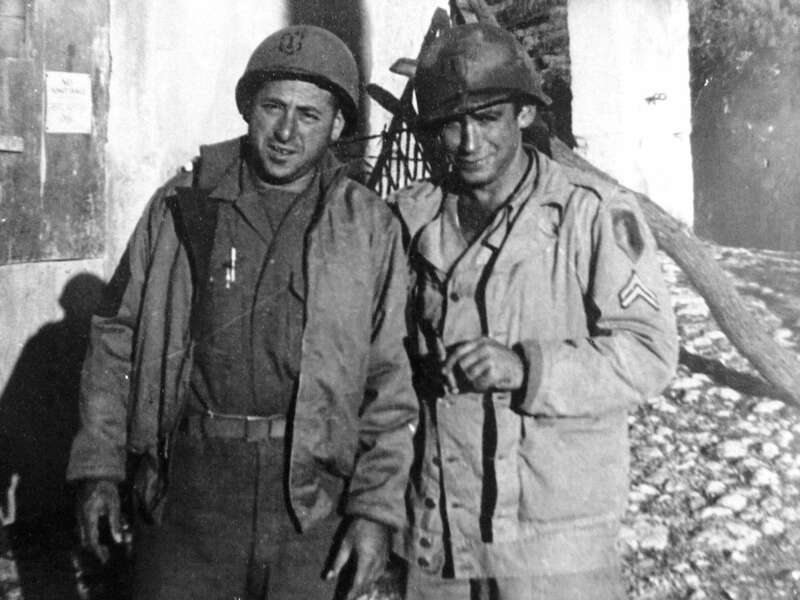 Lt. Col. Charles J. Denholm (left) commanded the AT Company before the war and as the S4 in 1942. He was the 1st Battalion commander through the Tunisian campaign and was wounded in action in Sicily on 11 July 1943. Like many of the regiment’s leaders, Lt. Col. Denholm served with the regiment at Fort Jay and Fort Devens before the war. Capt. 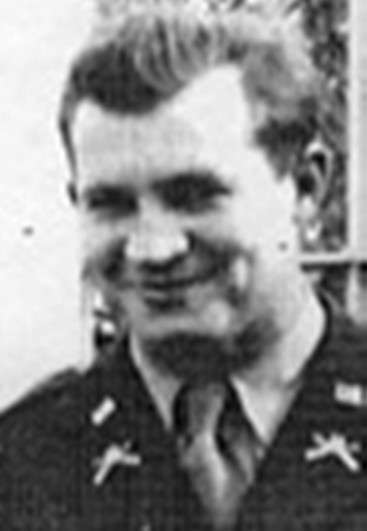 John H. Lauten was assigned as the Regimental S2 from Apr 43 to 18 Jan 45. 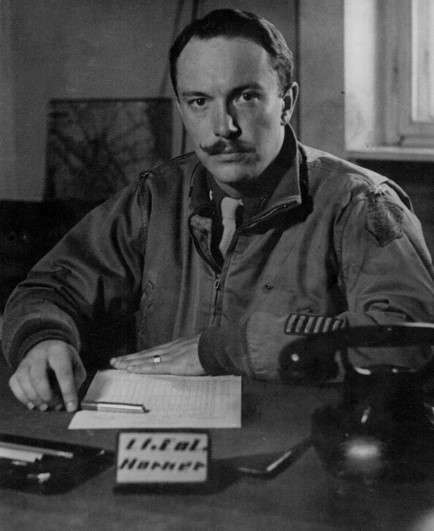 Maj. Charles Tegtmeyer came to the 16th Infantry at the end of the Sicily campaign and served as the Regimental Surgeon until the summer of 1945.